Jean provided blogging services for Third Wave Cycling Group Inc. and has been a frequent contributor. 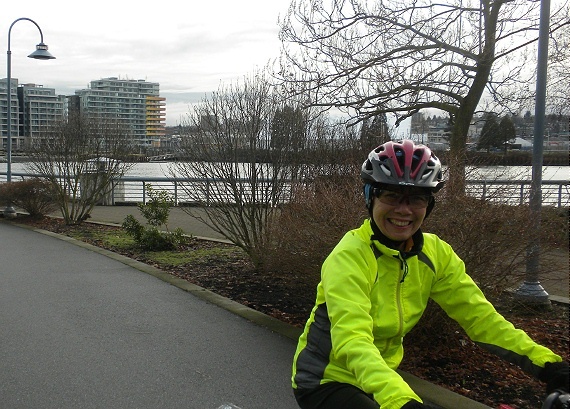 She has been a regular cyclist over the past 18 years in Toronto and Vancouver. For several years, she was an active committee member for Women on Wheels in Toronto. She brings to Third Wave, years of expertise in libraries, content management and knowledge management on planning and service delivery in engineering and law organizations ranging from global to provincial organizations, for public and private sectors. She previously worked for: Golden Crossing Constructors Joint Venture, Borden Ladner Gervais LLP, Legal Services Society, PricewaterhouseCoopers, Ontario Courts and Ontario Office of the Fire Marshal. In addition to management work, she delivered group training on best practices for research and knowledge management; developed enterprise-wide databases, subject taxonomies and other content management tools. Every job has required her to write business plans, management reports, technical manuals, quality assurance standards and marketing content. She has a Master of Library Science and Honours BA (English). She was also a contributing writer to Tourism Vancouver’s blog, Inside Vancouver and blogmaster for the Velo-city Global 2012 Cycling Conference in Vancouver. Her personal blog is here.